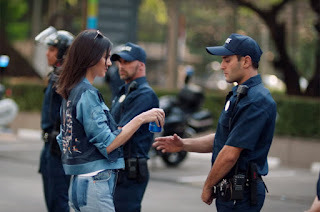 Pepsi's controversial advertisement with Kendall Jenner handing an officer a can of Pepsi. With our changing society a topic that keeps appearing frequently especially in the media, is diversity. As media tries to expand its coverage there is a certain way to use words and images accurately. Some have missed the mark. Diversity is a vital part to create advertisements because it shows a realistic representation of society. Marketing research needs to be completed and create a story that consumers can relate to. 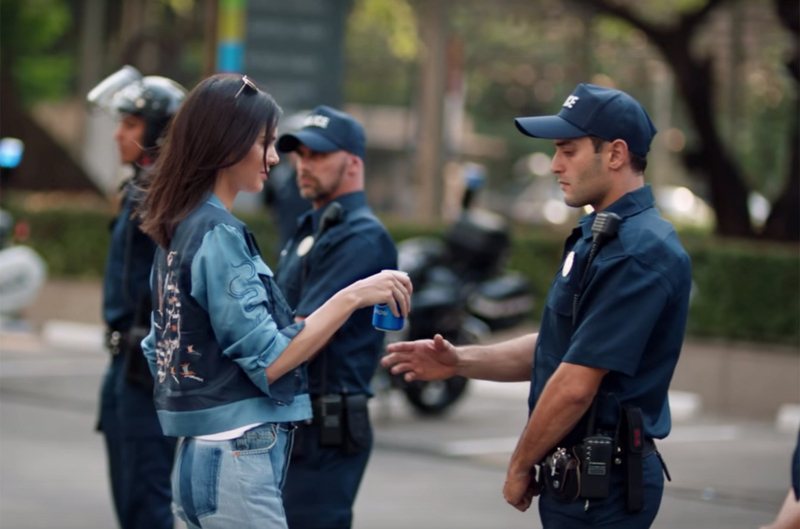 A few months ago Pepsi learned from their mistake with creating an in-house advertisement that featured Kendall Jenner. In the video, Jenner notices a protest that starts to form then she gets in front of the line with the others as they hold peace and unity posters. Jenner hands a Pepsi to an officer as he takes a sip and the whole crowd starts to cheer. This Pepsi advertisement received backlash because they were trying to replicate a Black Lives Matter movement. On NBC News, Pepsi released a statement regarding the controversial video "Pepsi was trying to to project a global message of unity, peace and understanding. Clearly we missed the mark, and we apologize." Pepsi could have possibly avoided the blunder if they had hired an outside agency to review their advertisement. Having an agency help create or revise work will reduce any controversy because they can pick up things that might not have been noticed. Sometimes it is hard to see outside of the image a brand is wanting to create. Reviewing an idea and ensuring that it tells a complete accurate story is a way to make a successful advertisement. It takes time to find an idea that works perfectly with the brands image and story. The issue is that time and money are often controlling for how an advertisement will be completed and ran. There is the pressure to complete an ad on time especially when a minimum requirement of money needs to be met. Which is why companies can create stories that seem to miss the mark because they are in a rush. Marketing research is a solution to avoid these marketing mistakes because it gives time to find out what message will be positively received by consumers. Strategies can benefit how an advertisement is created. Adding diversity into the mix of research will allow for more range of representing what a society wants to see. According to Marketing Week, with a poll from 754 marketers showed that 42% of marketers think that their brands are not showing a contemporary diverse example in their marketing. This shows that companies are not giving the diversity that should be represented. Marketers should not be scared of incorporating diversity into their advertisements because it can benefit society. Just as long as marketing research is completed and the topics will not be offensive or be used to replicate a social issue. Diversity needs to be included in the media because it is an accurate portrayal of modern day society. This could potentially bring together the community and create a sense of belonging.